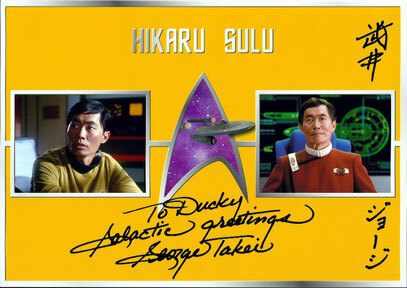 STAR TREK: TOS - duckys-autograph-worlds Webseite! 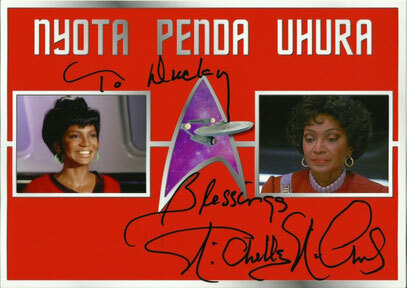 I fetched this autograph personally at the FedCon 21. In fact, it was the first autograph I fetched personally. 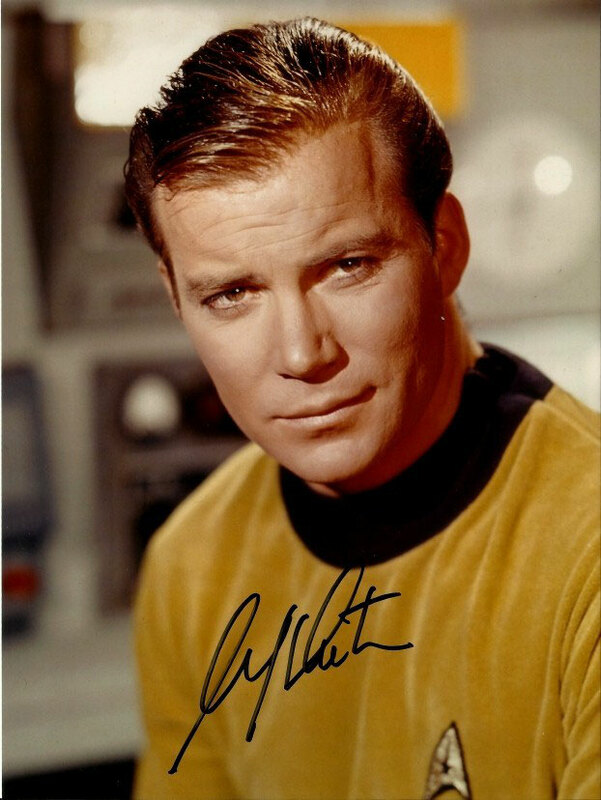 Unfortunately Mr. Shatner didn't personalize the autograph, but considering his age and the great number of people which wanted an autograph, it is perspicuous. 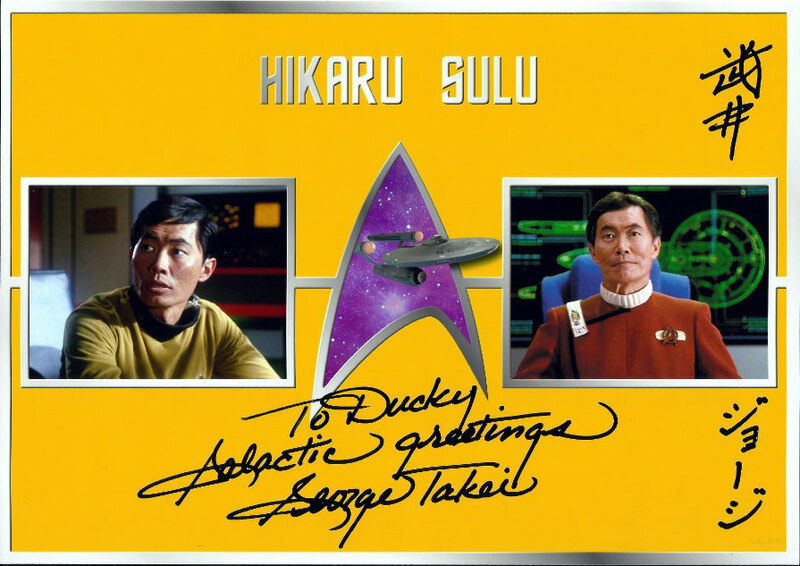 I fetched this autograph personally at FedCon 25 on May 15th, 2016. The day before he signed only with his name, without dedications. Understandable, given tge fact that there have been a great number of people who wanted his autograph. When I came to him on the third day aof the con, the queue was not that long any more and so I not only got my deications, bit he also wrote his his name in Kanji and even explained the signs to me. 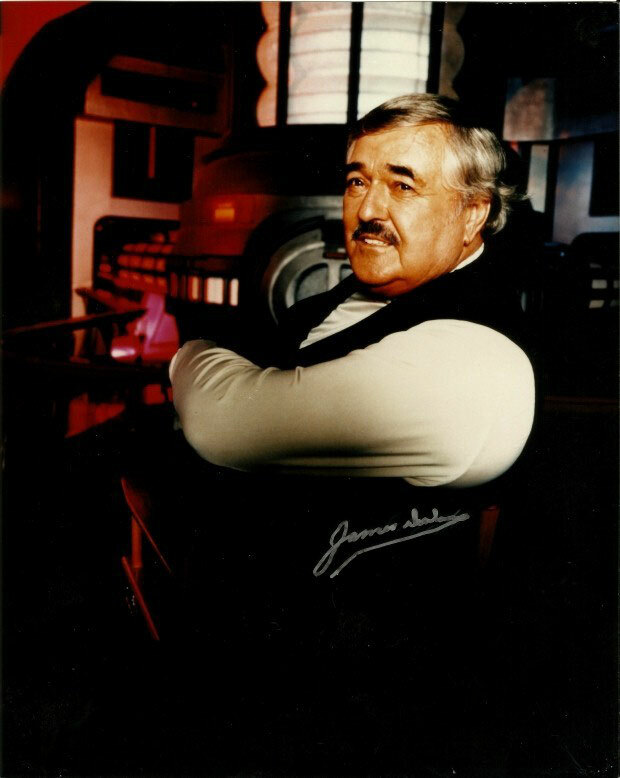 I bought this autographed picture at the space-store. 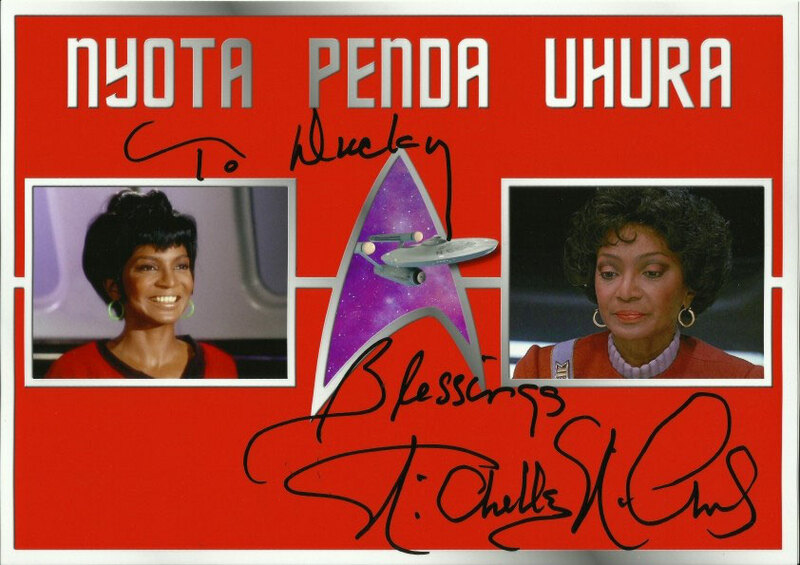 It was signed during a FedCon. The Grande Dame of Star Trek. Oh, what a wonderful person. She took time for every single one of her fans. She wrote autographs on Saturday and on Sunday in a separated room. I got my autograph on Sunday, shortly after the start of her session at 10am. She chatted with every fan and when she noticed I made the picture myself she took a longer look at it and said it was beautiful. She wrote autographs for over 5 hours that day, she even cancelled her panel so that everyone got his autograph. I ordered this autograph at Yvonne Craig's homepage on Dec 3rd 2014 and got it on Dec 15th 2014.